Alois Senefelder (born Nov. 6, 1771, Prague – died Feb. 26, 1834, Munich) is often referred to as the inventor of lithography. Son of an actor at the Theatre Royal in Prague, Senefelder was unable to continue his studies at the University of Ingolstadt after his father’s death and thus tried to support himself as a performer and author, but without success. He learned printing in a printing office, purchased a small press, and sought to do his own printing. Desiring to publish plays that he had written but unable to afford the expensive engraving of printing plates, Senefelder tried to engrave them himself. His work on copper plates was not proving very successful when an accident led to his discovery of the possibilities of stone (1796). Senefelder records that one day he jotted down a laundry list with grease pencil on a piece of Bavarian limestone. It occurred to him that if he etched away the rest of the surface, the markings would be left in relief. Two years of experimentation eventually led to the discovery of flat-surface printing (modern lithography). In 1818 he documented his discovery in Vollständiges Lehrbuch der Steindruckerey (1818; A Complete Course of Lithography). Source: britannica.com. 219 years ago today, German author Alois Senefelder invented the lithographic printing method (from the Greek, “stone printing”). Looking for an inexpensive method for copying his manuscripts, Senefelder was experimenting with etching techniques using acid resisting inks on a flat stone surface. He soon discovered that his method allowed printing from the flat surface of the stone alone. Compared to conventional copper engraving, it enabled a much faster way of working. 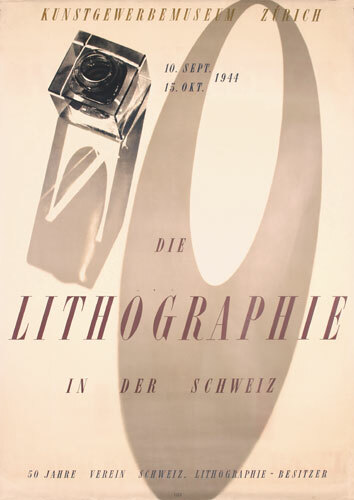 Lithography made printing much more affordable and available to more people (f.ex. in art and newspaper printing). By 1830, Senefelder’s process had become the dominant method of pictorial reproduction in the printing industry.